1, Prompted by Tom McCarthy's trendy new novel C, AbeBooks presents a tableau of one-letter (or two-letter) books. It's a lot of fun to look at. Of course, I'm an old school techie, so to me C will always be the title of a classic book by Kernighan and Ritchie. 3. Eliot Katz, Gerry Nicosia and Ishmael Reed respond to a rather sloppily thought-out article by Lee Seigel that claimed the Beat Generation writers were never interested in politics. Sure, and sugar is salt. 4. Justin Taylor on that whole Ted Berrigan drama. 5. Somebody made a movie called The Practice of the Wild about poet Gary Snyder. 6. The Complete Review honors a favorite author, Harry Mulisch. 7. Very funny: 71 Disconnected Thoughts About Jonathan Franzen's Freedom by Giancarlo Ditripano. 8. The Unbearable Lightness of Being Kashmir. 9. This Literary Condition was not thrilled by David Tennant as the melancholy Prince. 10. I like the energy of the Tea Party movement, but I think these patriots should switch their faith to the Barack Obama side since, despite what you'll hear from a whole lot of propagandists, Obama's economic plan is a lot more sensible and down to earth than the opposition's. Both sides want to cut spending, but the Obama administration is more honest about the fact that it'll also be necessary to make wealthier Americans pay more taxes in order to reduce the budget deficit. The Republican party is still in complete denial about this fact. This excellent Chris Matthews interview with Congressperson Marsha Blackburn illustrates what I mean, and what I've been saying. This poor Republican politician can't even bear to admit that it might be necessary to cut military spending (which is what I'd cut first). She can't name a single government expense she wants to cut, and yet she wants us to believe that her party knows how to balance the budget. This kind of fantasy-based economics is just plain irresponsible. The Tea Partiers should switch to Obama's side, because the Democrats have simply got more common sense. Our government spent a lot of money on two wars and an industry bailout. That money's already spent, so it's pretty clear that the millionaires and billionaires of America need to cough up their fair share of the costs. And let's also start cutting spending now, along with raising taxes for the wealthy. If we start making our millionaires and billionaires actually pay their fair share of the taxes for our spending, maybe they'll even help us find ways to cut spending in the future. What a concept! But conservatives like Glenn Beck, Rush Limbaugh, Mark Levin and Sarah Palin say I must be stupid, or a Socialist, for thinking the wealthy should pay their fair share of taxes, for money already spent. Or they say I'm anti-business, or I'm conducting "class warfare". I just want some millionaires and billionaires to pay their damn taxes. I have to say that The C Programming Language is the best book I have ever read about programming. This slim volume covers all the bases and can be used as both tutorial and reference book. Of course today, with object oriented programming and beyond, a short book such as this is probably no longer possible. But it hearkens back to an era when men were men and computers were afraid. 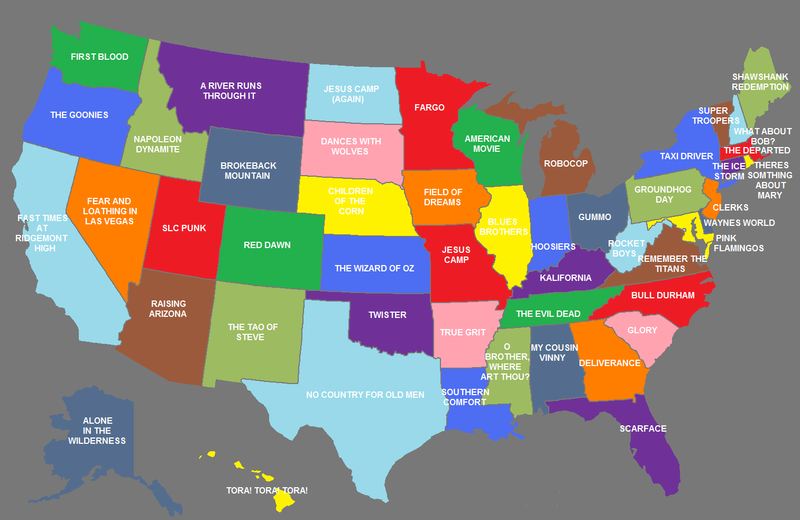 As an Illinoisan, I like the choice of movie. Blues Brothers has a grittiness that Ferris Bueller doesn't have. And there is a definite grittiness in Illinois. Literally and figuratively, depending on where you live. I reviewed McCarthy's book The Remainder somewhere, probably Bookmunch. Anyway, was a pretty good book. Lot of meaning, god and people, that sorta thing.